An inspiring Monday Mix by Rafael G., founder of Heart and Soul blog. In the last few weeks, we've featured mixes from some awesome musicians, record labels and bloggers. Today Rafael G., the mysterious man behind Brooklyn-based Heart and Soul blog, made us a mix of his favorite female musicians. Aside from running Heart and Soul, Rafael also contributes to Analogue Spheres and PORTALS. We were very pleased to see that Rafael's mix showcased a lot of the same music that he's written about on his blog – R.L. Kelly, Infinity Crush, and more. Heart and Soul is a lovely blog that brings attention to artists which might otherwise not get the recognition they deserve. Please enjoy the below mix, and thank you Rafael! "The origin story for Heart and Soul isn't really that different from many other blogs so I won’t ramble on too much about it. It was just something I started as a way to share artists I was stumbling upon when digging through BandCamp and Soundcloud. It grew from something I did casually to something that I care a lot about and pour my heart into. It’s definitely led to me meeting some great people and artists so that’s great too. I guess this mix is more reflective of my current taste than an all-time favorites list, though there are a few classics in it. When I was given the task of creating a mix of my favorite female-fronted songs I realized just how drawn I was to female artists to begin with. This mix isn't too different from what I've been listening to these past couple weeks. It ranges from artists like Infinity Crush and R.L. Kelly, artists I've been obsessing over, to Joni Mitchell and Taylor Swift. Essentially, it’s a mix of everything I've been really into lately and artists that I have a huge amount of respect for. I just want to say thanks to everyone here at THE LE SIGH for giving me the opportunity to do this mix. I’m a huge fan of the site and it’s really an honor to be able to do this." 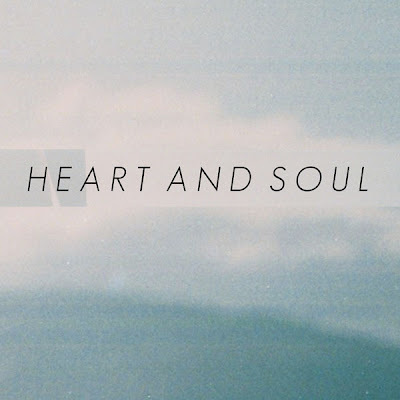 Heart and Soul from thelesigh on 8tracks Radio. Click here to read Heart and Soul.